Found this old abandoned bird nest and thought it was perfect for this shot. Lots of great detail showing here. Is is a custom nest, or did you have to evict a bird to do this shot? 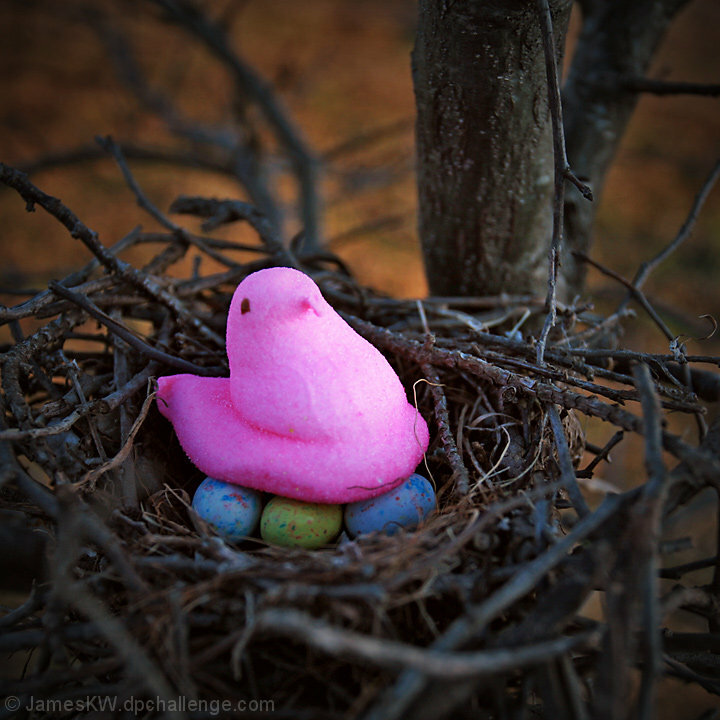 Nice sized image, lovely background colors, and detail, my attention goes right to the peep, good work, 8. Nice!! Love the contrast between the harshness of the tree and sticks and the bright and smooth Peep and Eggs. A couple of nest photos in the challenge, this is very well done. Deep in the forest, no doubt. Good thing that beak is soft or that Momma Peep might have hurt you defending her young. Proudly hosted by Sargasso Networks. Current Server Time: 04/20/2019 10:10:39 PM EDT.